Titanik residency programme is run by Arte Artists’ Association in Turku, southwestern coast of Finland. Titanik A.i.R has been running since 2006, shifting its focus to sound in 2013, which made it the first sound art residency in Finland. 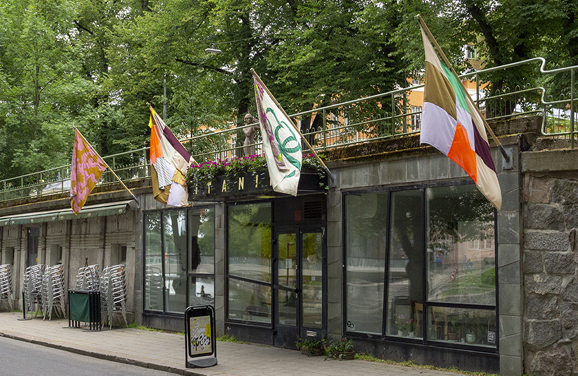 We provide a working space (20m2), which is adjoined to the contemporary art space Titanik, located in the city centre of Turku by the river Aura. The residents are also provided with free accommodation in a cosy, fully equipped flat in the city centre, within walking distance from Titanik. The flat is suitable for a single artist or a couple. The artists must fund their travels as well as their living and working expenses, including food, transportation and materials. The residency’s purpose is to provide time and space to work. We also wish all residents would present their practices during one public event, which may be e.g. an exhibition in the Titanik A.i.R. studio space, an open studio event, a screening, a talk, or a performance. Everything listed above must be provided in order to complete the application. Only pdf files are accepted and all work samples other than one complied link will be dismissed. Please send your submission by e-mail to: info@titanik.fi. The closing date is 28 April 2019. Artists for the residency programme are selected by Arte board.